On the principal’s desk at the Peshawar’s Government High School for Boys sits a screen beaming surveillance video from around the campus. In one of the desk’s drawers, within easy reach of Abdul Saeed’s right hand, lies a fully loaded pistol. A teacher for 15 years, Saeed argues that bringing a gun to school reassures his students, who are still terrified after a brazen attack on the Army Public School and Degree College in December, when Taliban militants stormed the building and massacred dozens of students during a six-hour siege. “They would look to the door every time they heard a sound. Now when they see me wearing a gun, they need not worry and can focus on the task at hand, which is to educate themselves,” Saeed says. Barbed wire, surveillance cameras and snipers have become a common sight in the schools of this Pakistani city. Private schools in the province of Khyber Pakhtunkua, which lies along Pakistan’s northwest frontier, have been instructed by the government to arrange security guards and metal detectors. School officials remain tight-lipped about the threats they’ve received from militants, but stories have emerged of empty coffins being sent to principals as an ominous suggestion of the danger that could lie ahead. After the brutal attack, Pakistan Taliban spokesman Mohammed Khurrassani told CNN the bloodshed was revenge for the killing of hundreds of innocent tribesmen during repeated army operations in provinces including South Waziristan, North Waziristan and the Khyber Agency. Last month, the provincial government pledged to spend seven billion rupees ($69 million) on enhancing security at government run schools in Khyber Pakhtunkhua. However, KPK information minister Mushtaq Ghani says it is still not enough prevent in an attack on the 35,000 government-run schools in the province. 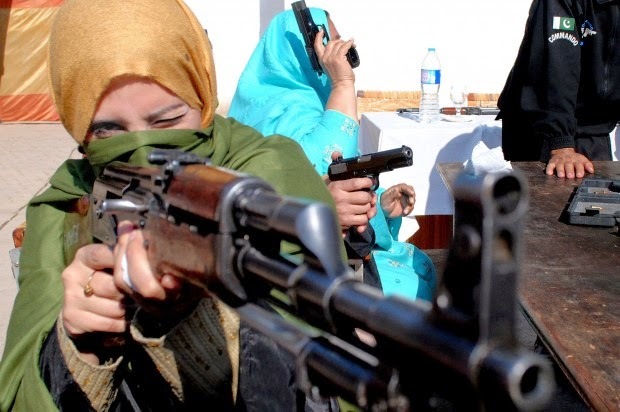 So, in an extraordinary measure, the KPK government has allowed teachers with firearm licenses to keep guns at school. Umar Daraz, a mild mannered primary school teacher who has been a member of the Executive Council of Peshawar’s Primary Teacher Association for more than 20 years, is shocked by the decision. “Teachers are meant to teach,” he adds. 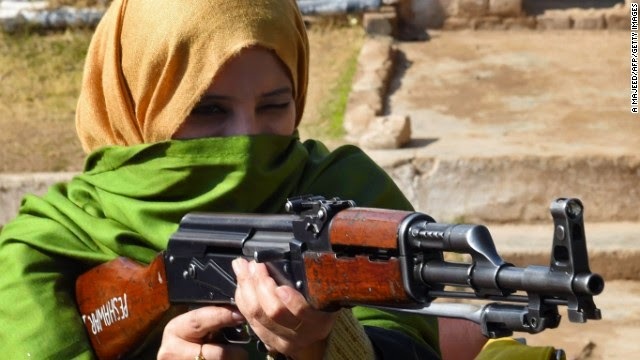 At a shooting range in Peshawar, the Khyber Pakhtunkua police force has started basic weapon training sessions for teachers interested in learning how to use firearms. Faisal Mukhtar, a police superintendent, says that one of the reasons given for arming teachers is so they can hold militants at bay during a potential attack until security forces arrive. Around 20 female teachers have already received training from Inspector Rozia Altaf. Most had never held a gun before. Regardless of the day’s training, Mukhtar says none of the teachers involved have expressed interest in obtaining a gun license. Back at the principal’s office, Saeed places the gun on his desk and shares his experience of volunteering at hospitals on the day of the attack. His eyes tear up as he recalls seeing schoolboys as young as 12 with bullet wounds that would not be uncommon on a battlefield. He brushes away those who criticize the decision to bring in guns to schools, saying “these are extraordinary times and we must deal with them in extraordinary ways. “After what I have seen I refuse to be helpless and unarmed if anyone comes in to attack my students the way [the militants] did in December.